Kennin-ji is head temple of the Rinzai Kenninji sect in Higashiyama-ku Kyoto-shi, Kyoto. In Kodai-ji and Hokan-ji (tower of Yasaka) of Kennin-ji branch temple, it was built with the support of the Kamakura shogunate second generation Shogun-MinamotoYoriie. 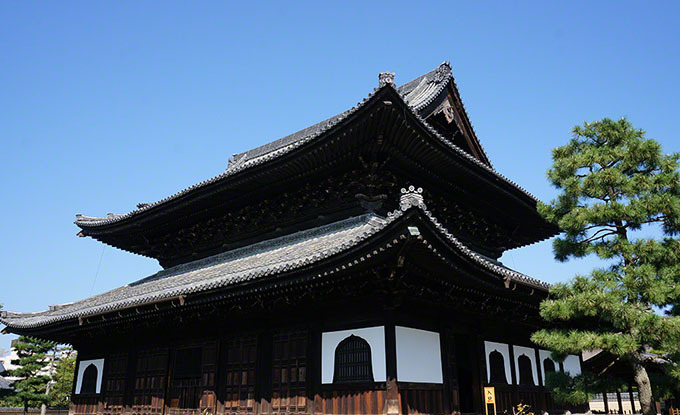 Kennin-ji, the building at the time foundation suffered frequent fires, such as turbulence of Onin is not currently remains. Posted in 洛中エリア and tagged 京都五山.